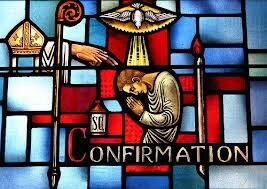 The essential rite of Confirmation is anointing the forehead of the baptized with sacred chrism (in the East other sense-organs as well), together with the laying on of the minister's hand and the words: "Accipe signaculum doni Spiritus Sancti" (Be sealed with the Gift of the Holy Spirit.) 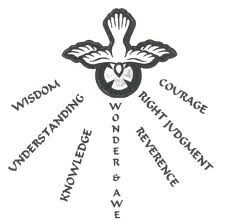 in the Roman Rite, or "The seal of the gift that is the Holy Spirit" in the Byzantine rite." From the Catechism of the Catholic Church 1285, 1316-1321.